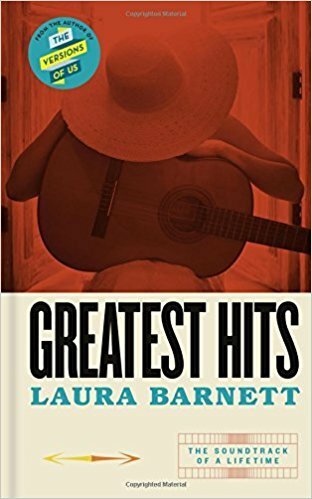 LAURA Barnett follows up her best-selling debut, The Versions of Us, with a tale about Cass Wheeler, a singer-songwriter who found worldwide fame in the 1970s before mysteriously retiring from public life. Barnett fashions Cass as a kind of British answer to Joni Mitchell, with her ethereal voice and folk-influenced music. The story takes place over one day as Cass listens to her old albums to prepare her choice of songs for a greatest hits album, a primer for her return to making music. She wonders whether her incredible success has been worth the sacrifices she has made. With every track, she is thrust back into her past. Most of the chapters open with the lyrics to a song that Cass has written, the story of her life in music. In fact, Barnett has collaborated with Mercury-nominated singer-songwriter Kathryn Williams to write the lyrics and music, which have been recorded and released as a soundtrack to accompany the novel. Francis, Cass’s beloved father, is overjoyed by his daughter’s birth in 1950. Her mother, Margaret, is less than thrilled, seeing her as “… a small, damp-headed creature, ugly and mottled, screwing up its face against the light”. Margaret is a cold and withdrawn woman who escapes her unhappy marriage by taking off for Canada with a new lover in tow. Francis is broken by his wife’s desertion and the young Cass feels betrayed and abandoned. Through this, Barnett subtly foreshadows Cass’s own dilemmas as a wife and mother, and her secret fear that she will fail the people she loves most. The music, fashions and social mores of the 1960s and 1970s are colourfully depicted, with Cass and Ivor caught up in a whirlwind of writing music, recording, and touring. Cass does take time out to have their daughter, Anna, but the pressure to return to work leaves her exhausted and constantly feeling she is short-changing both her child and her music. Meanwhile, her relationship with Ivor is in tatters. He is still furious that Cass was picked out for stardom while he has had to stand in her shadow. The singer spreads herself too thinly as she tries to be a good daughter, wife, and mother, while staying true to herself and her art. Broken by a tragedy, she stops making music altogether. She is, she says, an ‘Ex-mother. Ex-daughter. Ex-wife’. Poignantly, she also considers herself an ‘ex-musician’. At its heart, Barnett’s novel examines the compromises women make in order to pursue a fulfilling creative and personal life. She offers no easy answers but Cass does eventually find a measure of forgiveness and peace.